The incidents of ADHD (attention deficit disorder) in children diagnosed with the behavioral conduct disorder in the United States are once again increasing. A new study, published in the August issue of Annals of Allergy, Asthma & Immunology, suggests that ADHD is linked with allergies and asthma. The study group consisted of 884 boys with ADHD and 3,536 boys without the disorder. Of the children with ADHD, 34 percent had asthma and 35 percent had an allergic disorder. 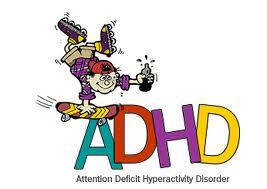 The study suggests medications used to treat these conditions may be associated with an increased ADHD risk. “Further research is needed to understand why there appears to be an increased risk of developing ADHD in children with allergy and asthma,” said Gailen Marshall, MD, editor-in-chief of Annals of Allergy, Asthma & Immunology. There is a genetic trend with allergy and asthma often occurring in families. If both parents have an allergy a child has a 75 percent chance of being allergic. If neither parent has allergy, the chance of a child developing an allergy is only 10 to 15 percent. Allergists also know allergies and asthma are linked. An estimated 60 to 80 percent of children with asthma also have an allergy. ← New concern for the Consumer: Toxic Nanoparticles in food products.